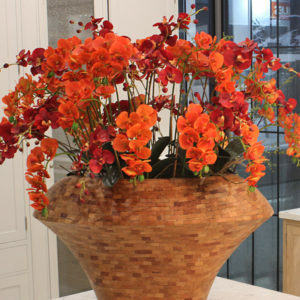 Feature our statement-making Orange Phalaenopsis Orchid Flower arrangement in your upmarket accommodation. 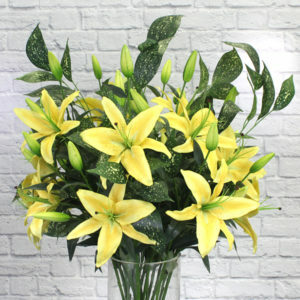 Your guests are guaranteed to enjoy their stay, with an arrangement like this in their accommodation. 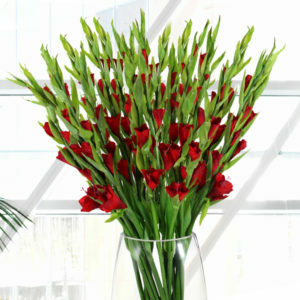 Gorgeous, trendy and they only require occasional cleaning and maintenance. 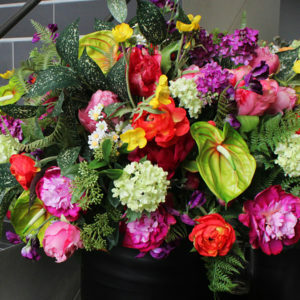 It’s bound to turn heads, spark enthusiasm and become a conversation starter, wherever it is placed! 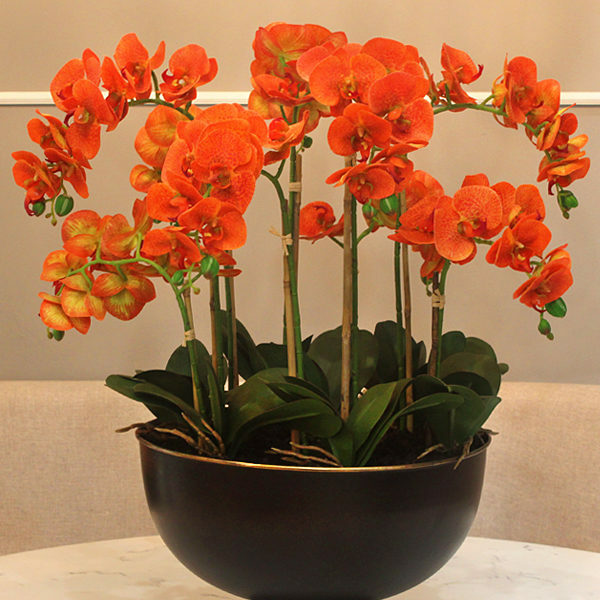 This SilkSense floral arrangement is made from high-quality artificial Phalaenopsis stems, permanently set in a black tin.